In a general sense, when Domino a series printer is working, it is all automatically controlled by itself without much manual work, which is only required on process of machine start-up and shutdown, adding of solvent and ink, cleaning inside of the machine, as well as simply maintenance. 1. Start-up and shutdown of the machine. 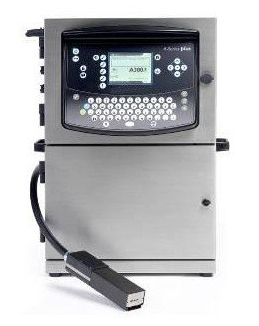 Domino a series printer is designed with one-key operated, thus only a normal press on the matched button, the start-up or shutdown process of the machine is perfectly finished. 2. Adding solvent and ink. This work actually is required to be paid attention to by all kinds of CIJ printers. Of course, Domino a series printer system can automatically detect the solvent or ink level, once it is lower than the setting value, the alarm system will work. It surely be a very practical function for all CIJ printer manager. 3. CIJ printer ink line system cleaning. Some domestic CIJ printer will require manual work to inject solvent into the machine, and keep it running inside for a period of time, then drain it out. After that, the CIJ printer can be closed down, carrying out rest and reorganization in a short time. There won't be problem of ink accumulation or solidification when using again. However, for Domino a series printer, it has self-cleaning function. It will automatically carry out the ink line cleaning process under normal start-up or shutdown of the machine. 4. Change of Domino spare parts and Domino filters. Normally, Domino a series printer should be under maintenance one time half a year to keep its working stability. During the process of maintenance, Domino filters should be changed. What's more, during the daily operation of Domino a series printer, there might be some problem on Domino spare parts. The users can change the spare parts in Non-critical part. To learn more information on Domino a series printer technology, please feel free to directly contact with Huax Tech.